The Battery Saver™ 2365-LCD Charger is a high powered 50 watt dual voltage 6 & 12 Volt charger, maintainer and tester with an automatic battery cleaner and connects to any 12 volt battery type without any switches. The LCD display provides a convenient built-in digital battery tester that displays the battery's voltage, amp output and battery charge percentage bar. 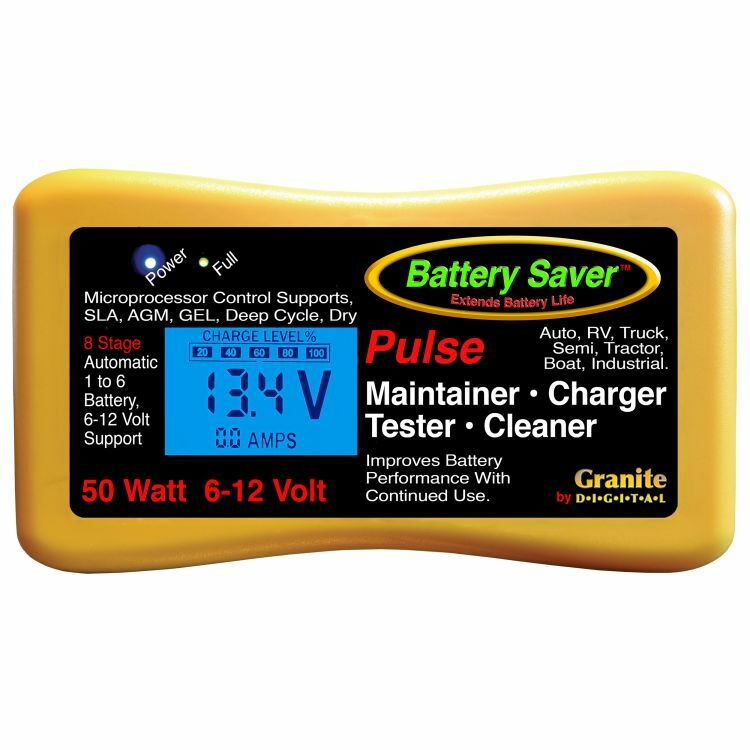 The 50 watt design is very powerful and can maintain a single vehicle battery or up to six batteries in parallel, making it perfect for Motorhomes, Semi trucks & more! 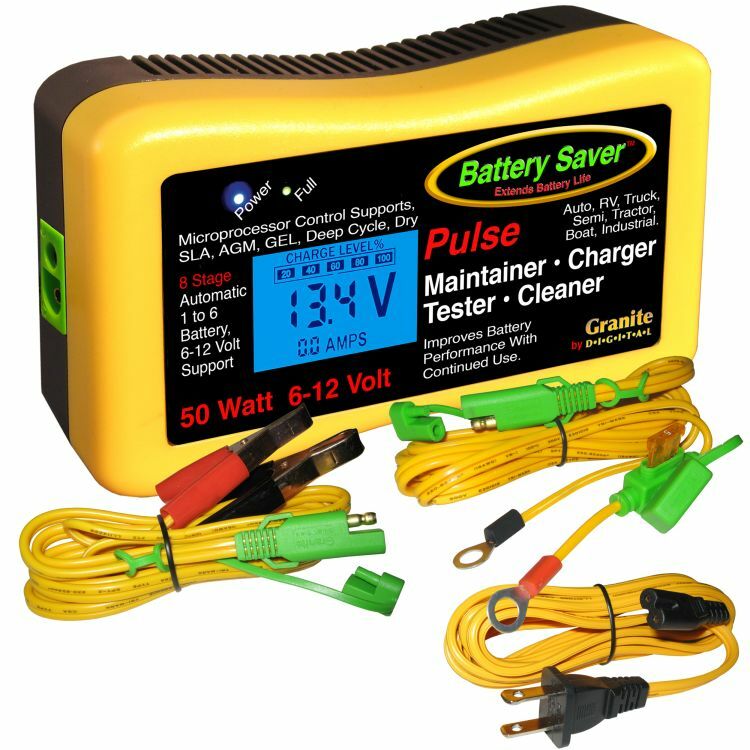 Each unit features our signature Auto-Pulse cleaning desulfation technology, micro processor control and can automatically recognize most 12 volt batteries and will switch to the correct charging setting when connected. Works with: Lead Acid, AGM, Gel, Dry Cell, Spiral Cell & Deep Cycle! Do you own the 2365-LCD? Please, tell us what you think about it. It helps us provide you with better products. Please note that it may take up to 72 hours for your review to appear.